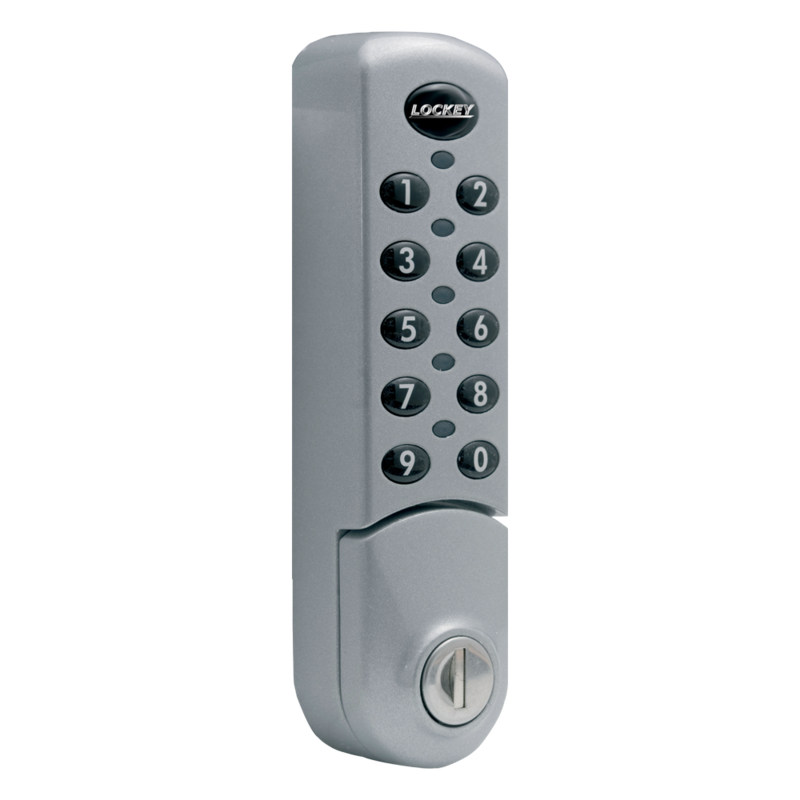 Lockey LKS500 12-button digital key safe to suit larger keys. 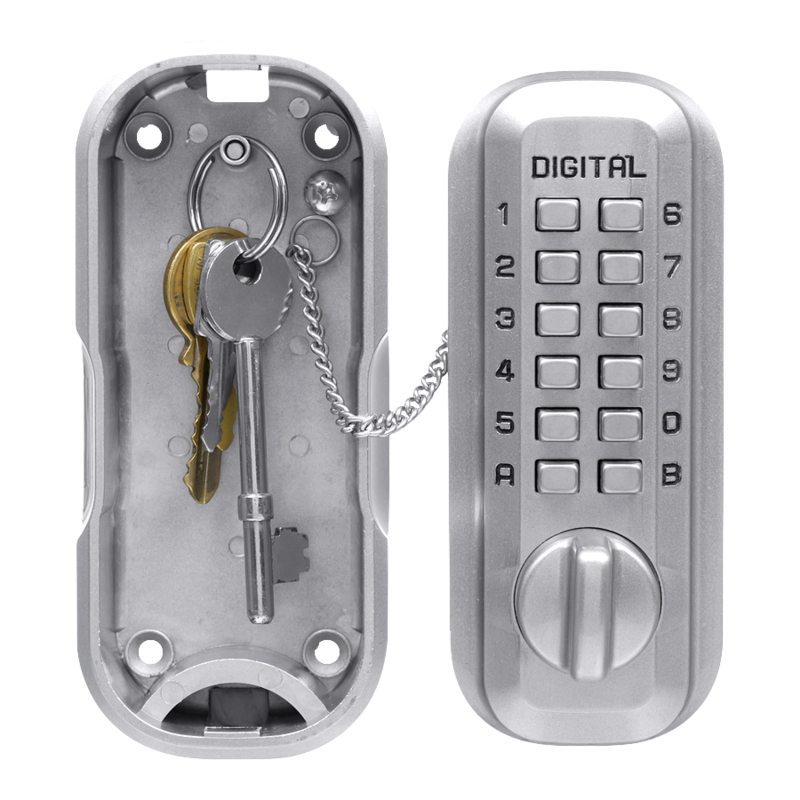 The two halves of this unit are held together by a chain to avoid dropping or losing the front half when accessing keys. 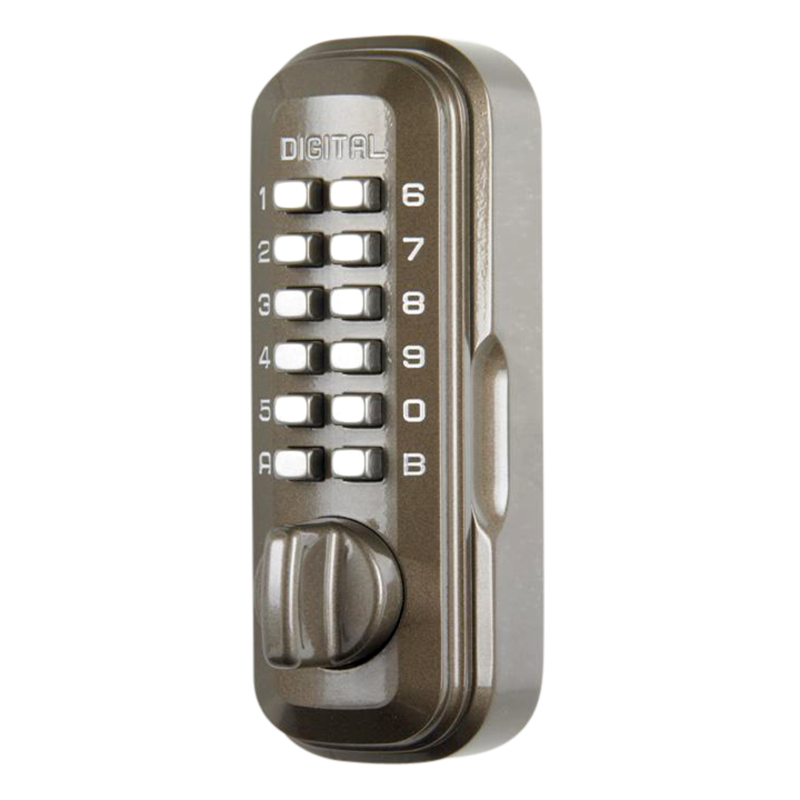 This key safe is ideal for situations or sites where it not always possible for physical key hand overs to occur. Key safes such as this are commonly used to provide access for care workers, tradesmen, cleaners and for holiday homes.